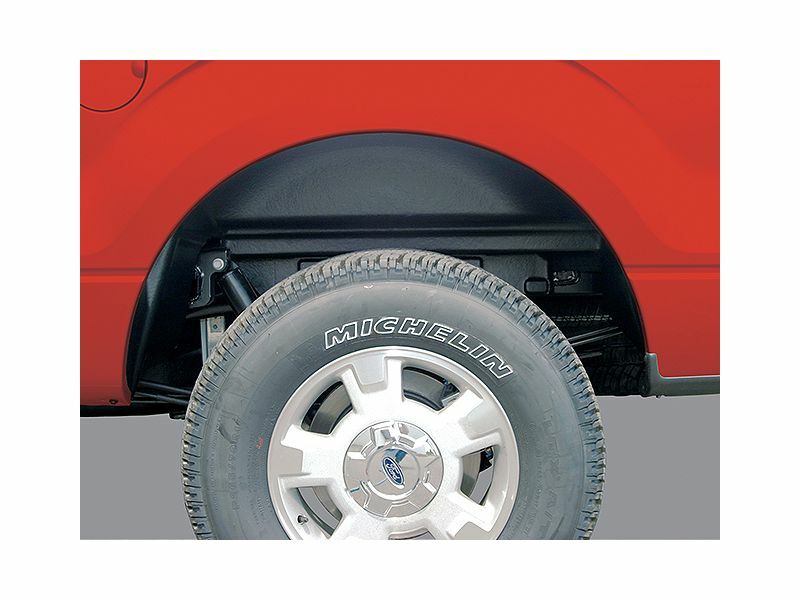 The Rugged rear wheel well liners are a great product if you don't like to see the frame rail, leaf springs and shocks on your vehicle. It also protects against rocks, salt, debris and harsh weather. This item is currently made for some models of the Chevy, GMC and Ford. The Rugged rear wheel well liners have limited lifetime warranty on material and workmanship so you know you'll be protected. Additionally, this is proudly made in the United States. This item really gives you a finished look and makes your truck look great. Rugged Liner offers a lifetime limited warranty, please see below. 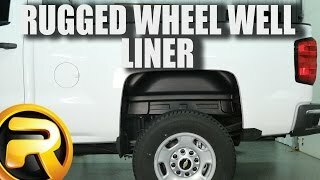 The Rugged rear wheel well liners by Rugged Liner Inc. is an easy at home installation. The installation of the Rugged rear wheel well liners only takes approximately 15 minutes and you only have to remove your tire if you have a Ford F150. For additional information see the install manual below or call us at 1-877-216-5446.